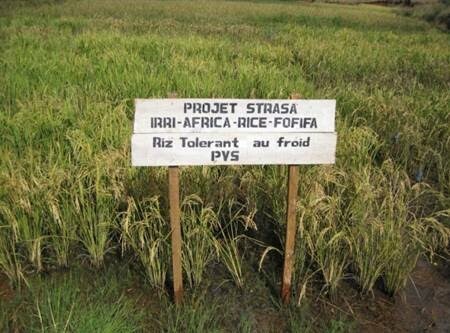 Sahoo’s good fortune came from extensive research and testing from IRRI’s STRASA (Stress Tolerant Rice for Africa and South Asia) Project, funded by the Bill and Melinda Gates Foundation and managed by Abdelbagi Ismail, Head of the Genetics and Biotechnology division at IRRI. IRRI led the charge during the first Green Revolution in the 1960s by developing IR8, a rice variety that saved the developing world from a food insecurity disaster. Around this time, China had suffered from a famine caused by the Great Leap Forward, and Paul Ehrlich’s The Population Bomb warned of mass starvation in the 70s and onwards due to overpopulation. Nowadays, famines rarely occur in Asia and the mass starvation that the world was set to face never came. 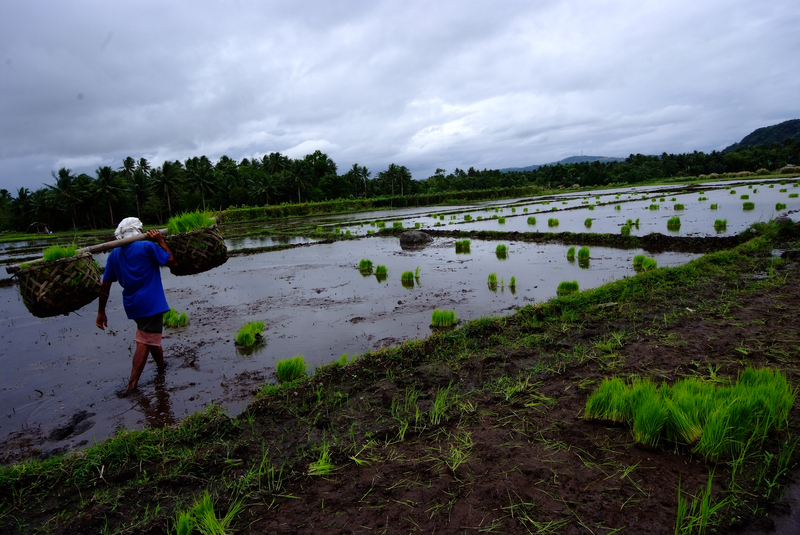 In the Philippines, annual rice production has increased from 3.7 million tons to 7.7 in the span of two decades. Meanwhile, India, which Ehrlich pointed to as one of the major nations on the brink of starvation, is currently the world’s largest exporter of rice. To many, rice production is a problem that has been solved. The global per capita rice consumption has halted, and according to agricultural scientists Shoichi Ito, E. Wesley F. Peterson, and Warren R. Grant in an article for the American Journal of Agricultural Economics, as Asian nations increase their wealth, rice per capita consumption tends to decrease. Despite this, it is unclear whether IRRI’s success with IR8 has accomplished all its goals. While the first Green Revolution targeted areas where there were good water control and soil conditions, farmers in less favourable areas still use the traditional rice varieties that can tolerate more stressful conditions. According to the Food and Agricultural Organization, the increasing scarcity of land and water is a growing threat to food security. As farmers age, there is a heightened level of concern for who will take up their work when they pass. In Japan, the age of the average farmer is 70, and in the Philippines and Indonesia, it’s 57 and 50, respectively. While the global per capita rice consumption has stagnated, population is still rising drastically. According to IRRI, the global rice demand is estimated to increase from 439 million tons in 2010 to 555 million tons in 2035. In Africa, where the population growth rate is high, there is an exponentially increasing demand for rice. Moreover, the issue of climate change has already negatively impacted rice production. “Rice yields decrease with climate warming, and the increase in night temperature causes high sterility and reduced grain filling, causing poor quality.” As IRRI’s Dr. Abdelgagi Ismail says, “In coastal areas, we are seeing progressive rises in sea level and inland intrusion by a few kilometres every year, especially in the coastal deltas of Vietnam, Bangladesh, and Myanmar. These deltas are the major rice production areas in these countries.” If the trends remain the same, yields are set to decline, and in Asia, a continent where 90% of rice is consumed, this could have a disastrous effect on the 560 million hungry people in the region who rely on rice to sustain their diet. IRRI’s research in the 1960s was invaluable in stopping global famine, and in the 21st century they may have to dramatically alter rice agriculture again. This time, they’ll need to target the farmers that were left behind the first time around. As land becomes scarce and farmers grow older in Asia, it is Africa who can make up the difference. “Africa is the potential future world food basket,” he believes. Unlike the first Green Revolution, which used a single miracle variety to produce an exorbitant amount of rice, the second Green Revolution involves tailoring seeds to thrive in particular environments (drought, submergence, salinity, iron toxicity, heat and cold). 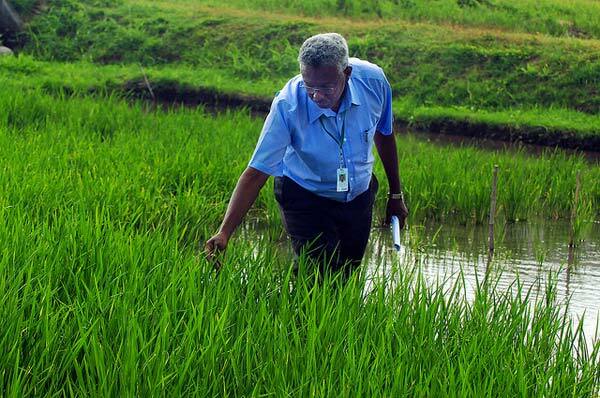 IRRI’s research has made it clear that it is possible to double the productivity in these areas, and they hope to increase its nutritional value too. As a result of this, the next Green Revolution is, in essence, an undertaking aimed towards reducing hunger and poverty for the world’s poorest. It is the impoverished, who are the most susceptible to global warming, that stand to benefit the most from the development of rice science. Farmers need more efficient production practices dominated by mechanization and efficient varieties that require fewer resources to produce higher yields. The next Green Revolution does not have a single variety that has the same substantial effect that IR8 did. Instead, it will complete the first one by improving various types of rice to work in vastly unalike terrains, which will help farmers, like Sahoo, who need it most.